This handmade Musashi katana features a Crane theme with steel guard and Crane cut-out design. The blade is made from high carbon steel and features a bo-hi for audible feedback while swung. The handle is wood at its core surrounded with imitation ray skin and a black cord handle. The scabbard is hardwood with a black dull finish. 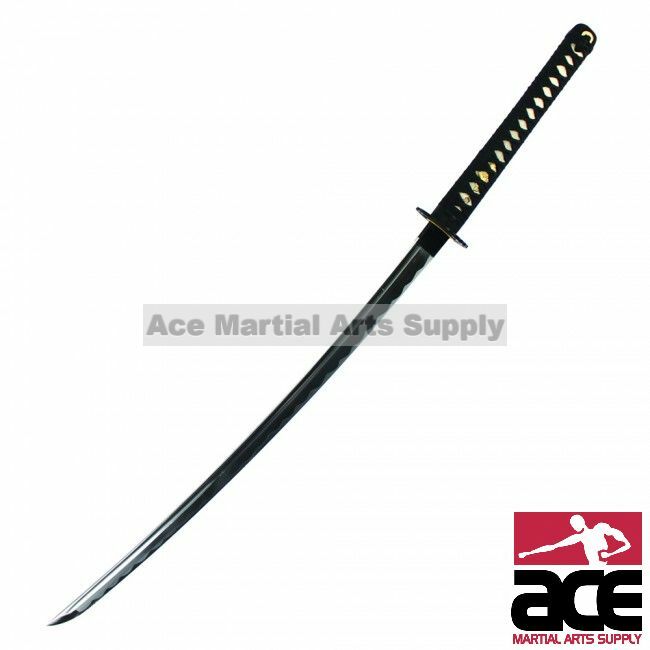 This katana is crafted for use but excellent for display! This sword i absolutely love ,i ordered 4 swords on this order and. This was my favorite, great sword ,best price,Thanks Ace.